New ANZCA Recommendations – Don’t Use Drugs, See a Chiropractor! Brand New Guidelines have been issued by the Faculty of Pain and Medicine in the Australian and New Zealand College of Anaesthetists (ANZCA) for the treatment of chronic pain and disability. The new recommendations will have wide reaching effects and impact all medical practitioners (GP’s) and allied health professionals in Australia and New Zealand. The guidelines relate to the management of all forms of pain. From back, neck and chronic pain, non-cancer pain, to those with neuropathic pains. What is interesting is that Chiropractors have been championing most of these recommendations for decades. Now, conservative measures, typically employed by many Chiropractors in dealing with significant pain and disability – have been accepted a ‘best evidence’ and ‘best practice’. In reality conservative measures like spinal corrections, myofascial work, acupuncture, stretching, traction and mirror image exercises have been best evidence for years. Drugs are not, and never will be, the answer for back pain. You cannot drug yourself out of a Structural Spinal Problem. We could give so many examples of the damming evidence behind drugs, but where to start? Perhaps let us just pick a few like Nurofen, Voltaren or Vioxx. Why Does Common Sense Take So Long to Prevail? We are an over-medicated nation, who are far too quick to say ‘yes’ when it comes to prescriptions for pain relief or resort to extreme spinal fusion surgery. It is good to see changes finally made to acknowledge the countless research that has been carried out over the years that deem pain killers of very little value or down right dangerous. ANZCA have created these recommendations based on the overwhelming amount of research reveals most pain medicines had little to no effect compared to placebos in treating lower back pain. 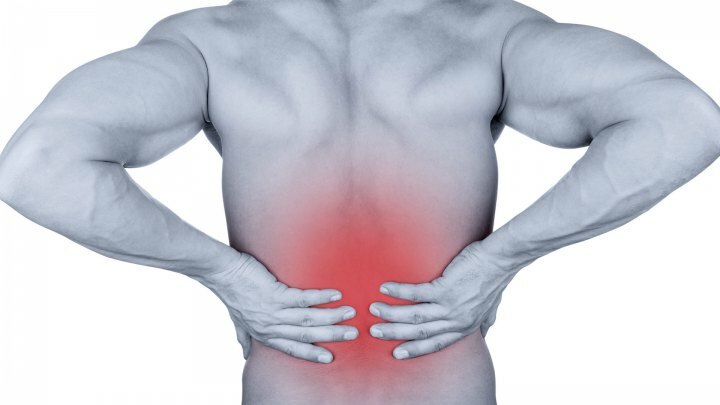 GPs are now being strongly advised to NOT prescribe pain medicines in response to changes in major international guidelines for the management of lower back pain. 1. AVOID prescribing Opioids as first-line or monotherapy for chronic non-cancer pain (back, neck or spinal pain). Opioids are a class of drugs that include the illegal drug heroin, synthetic opioids such as fentanyl, and ‘pain relievers’ available by prescription, such as oxycodone (OxyContin – aka “Hillbilly Heroin”), hydrocodone (Vicodin), codeine, morphine, and many others. Every day, more than 130 people in the United States die after overdosing on opioids. The misuse of and addiction to opioids—including prescription pain relievers, heroin, and synthetic opioids such as fentanyl—is a serious national crisis that affects public health as well as social and economic welfare. The Centres for Disease Control and Prevention estimates that the total “economic burden” of prescription opioid misuse alone in the United States is $81.5 billion a year, including the costs of healthcare, lost productivity, addiction treatment, and criminal justice involvement. To put that in perspective if you are counting at the rate of one dollar per second ($1/sec) it would take you 30 YEARS to count to one billion dollars. It would take around 2400 YEARS to arrive at a figure that America spends in just 1 YEAR on this class of LEGAL drugs. In fact, SO MANY PEOPLE DIE from Opioid Drugs; for the first time in history drugs have lowered the average age of death within a number of Western ‘civilised’ countries. Australia included. If an opioid drug is to be used there needs to be period review and a demonstration of some functional benefit. Just providing some pain relief is not enough given the devestating impact they have on patient health. GP’s must also engage in periodic attempts to reduce the patient dose and activity screen for the long term harm created by opioid medication. The safety and effectiveness of Lyrica (pregabalin) and Neurontin (gabapentin) – two non-opioid drugs widely used to treat chronic pain – are drawing new scrutiny from researchers and doctors who believe the medications are over-prescribed. Lyrica and Neurontin are commonly prescribed for fibromyalgia and neuropathic pain, but the researchers say the drugs are increasingly prescribed for chronic back pain, even though there is “no clear rationale” for it. According to other sources, drug-related deaths linked to pregabalin and gabapentin have risen 2,675 per cent and 637 per cent respectively in just six years. 4. DO NOT prescribe Benzodiazepines for back pain. Benzodiazepines are a class of psychoactive drugs used to treat a range of conditions, including anxiety and insomnia. They are one of the most widely prescribed medications in the United States, particularly among older patients. Benzodiazepines have qualities that can help to reduce anxiety and seizures, relax the muscles, and induce sleep. Benzodiazepines include Xanax, Chlordiazepoxide, or Librium, Diazepam, or Valium, Flurazepam, or Dalmane, Temazepam, or Restoril. Common side effects of benzodiazepine usage include: drowsiness, confusion, dizziness, trembling, impaired coordination, vision problems, grogginess, feelings of depression and headache. A recent study, published in the BMJ, identified a link between ongoing use of benzodiazepines by people over 65 years of age and an increased risk of dementia. The long-term use of benzodiazepines can also result in physical dependence. 6. DO NOT refer back pain for Spinal Fusion Surgery. According to the Mayo Clinic, spinal fusion is surgery to permanently connect two or more vertebrae in your spine, eliminating motion between them. Spinal fusion involves techniques designed to mimic the normal healing process of broken bones. During spinal fusion, your surgeon places bone or a bonelike material within the space between two spinal vertebrae. Metal plates, screws and rods may be used to hold the vertebrae together, so they can heal into one solid unit. Again, the Mayo Clinic considers that Spinal fusion may be effective treatment for fractures and deformities. But study results are more mixed when the cause of the back or neck pain is unclear. In many cases, spinal fusion is no more effective than nonsurgical treatments for nonspecific back pain. While it has taken a long time, it is good the recommendations are published, and slowly being accepted across the broader medical community. It would be nice to see the surgical community in Australia recommending conservative care before patients under the knife. We should be working together. It is not a either/or proposition – particularly in the treatment of complex neurological conditions. In addition to these recommendations, the low back pain guidelines written by the highly respected American College of Physicians (ACP) recommends clinicians and patients should select non-pharmacological approaches for low back, neck and chronic pain. The ACP recommends superficial heat, acupuncture, myofascial work, and spinal manipulation for acute and subacute low back pain. When it comes to chronic pain, do they recommend going under the knife in a spinal fusion procedure? No. They recommend exercise therapies, spinal rehabilitation and spinal manipulation. All of these procedures are carried out with the utmost care here at The Spinal Centre. It is also good that our governing bodies are finally catching up to what we have seen in Practice for years. Pharmaceutical drugs are simply not the answer… The research is building, so much so that you cannot ignore it.